Wasting money, obfuscating, opaquing – it’s what they are best at. Also don’t use “earn” and “Yates” in the same sentence. It might be what she gets but she certainly doesn’t earn it running this highly dysfunctional organisation. 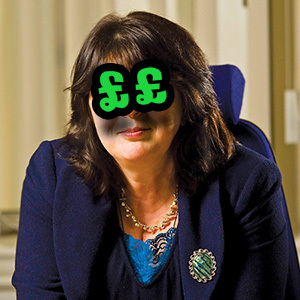 She recently turned down a Council Laptop that all employees MUST USE,and demanded an APPLE AIR PAD,what doe’s this say about her?,.£180000 a year what a joke and it’s our money,you don’t know the half of it. It would be nice to find out how many hundreds of thousands of pounds ‘consultant’ Mark Ives and his mates have taken out of the council.